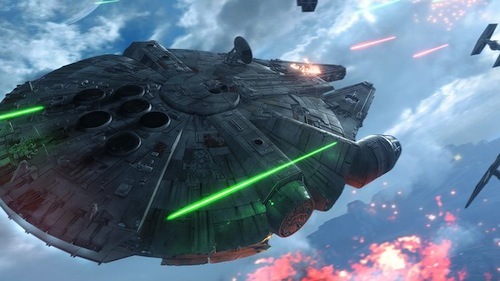 EA has unveiled a new mode for the upcoming Star Wars Battlefront and knocked it out of the park! "Fighter Squadron will put you inside the cockpit of some of the most memorable vehicles ever seen in the Star Wars galaxy," said Battlefront senior producer Sigurlina Ingvarsdottir at Gamescom. The dizzying dogfights evoke fond memories of playing Rogue Squadron on Nintendo's GameCube. Fighter Squadron mode stays true to the original Star Wars films. "We want to give fans the thrill of living out their Star Wars battle fantasies in a game that is authentic, visually stunning and fun," said Ingvarsdottir. What are you excited for in Star Wars Battlefront? Let me know in the comments below.